Now that the cutting-edge iPhone X is up for preorder, everyone is excited to see how the new device will compare to offerings from Apple's competitors. Namely the Galaxy Note 8, which is a beast of a phone in its own right. The reasoning behind wanting to see how the iPhone X and the Note 8 compare is fairly understandable. They're the latest (and greatest) flagships from two of the biggest phone manufacturers, who just so happen to have a history of competition and rivalry. In fact, if you listened to the Apple Keynote, you would have heard Apple take a subtle shot at Samsung during their facial recognition presentation. Until we're able to get an iPhone X ourselves, it's nearly impossible to compare performance or battery longevity. But what we can do is take a look at the Note 8's specifications against the iPhone X's spec sheet and see how the numbers add up. 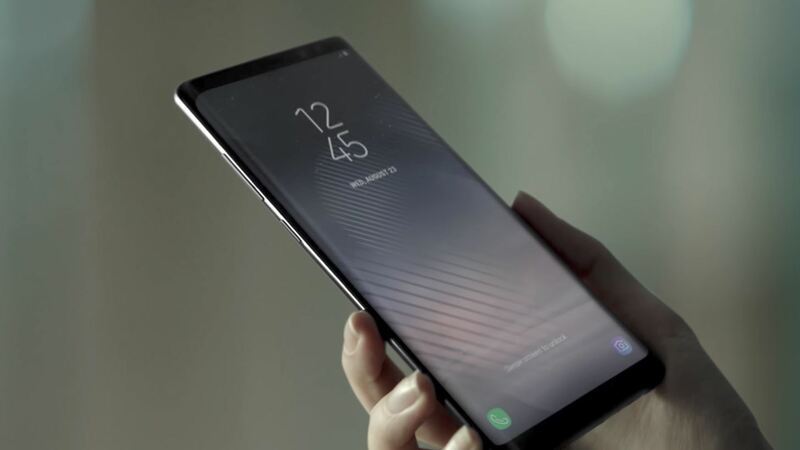 This, plus an evaluation of the Note 8's software and hardware performance, gives an idea of its pros and cons. So we can use that to determine which areas we're looking forward to seeing how the iPhone X will do. Take a look at the chart below to get a good idea of how these two industry-leading phones stack up against one another. But while you're reading, keep in mind that these are just specs, and a lot more goes into a phone's overall user experience than what appears on paper. Some of the standout features with Samsung's latest flagship include Bluetooth 5.0, which has a longer signal range than previous Bluetooth versions and lets you stream music to multiple devices at the same time. Samsung's fast wireless charging protocol lets you charge up to 1.4 times faster than regular Qi with compatible chargers. Samsung's IP68 water-resistance rating still reigns supreme, allowing you to go deeper underwater than the iPhone X's IP67 rating would permit. And, of course, the Note 8 actually has a headphone jack. For the iPhone X, one of the major advantages is that it's already running iOS 11, the latest operating system version available, while the Galaxy Note 8 is currently one version behind Android Oreo. The front-facing camera has fewer megapixels than the Note 8, but as we all know, megapixels don't matter anymore, so Apple's TrueDepth 3D sensing technology should give it the overall win here. We've yet to see how Apple's fast charging compares to Quick Charge 2.0, but one more clear win is the stereo speaker on the iPhone X. As everyone knows, iOS versus Android has been a longstanding battle throughout the years with neither side willing to give way. Samsung chooses to put a skin on top of Android before shipping out their phones. This skin gives Samsung phones a unique look and extra software features, but that comes with a pretty infamous reputation. 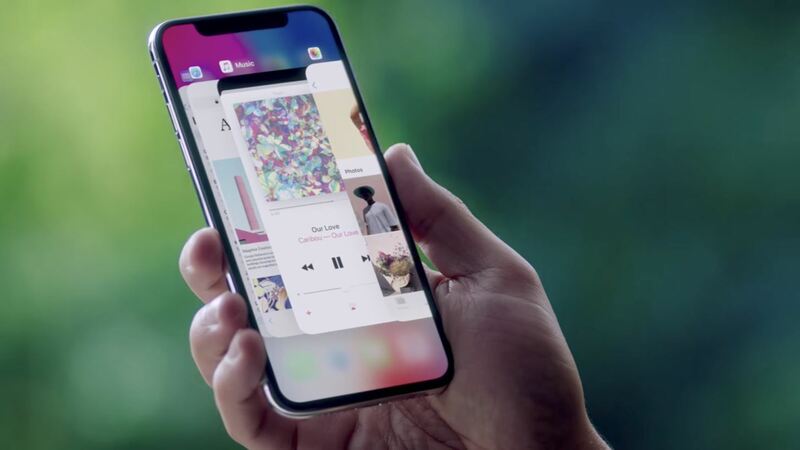 The iPhone X, however, will come with iOS 11, which doesn't match Samsung's TouchWiz UI in terms of the sheer number of features, but offers a simpler and more intuitive interface. Since Apple has designed both the software and hardware, the two work in harmony and typically offer a smoother experience than Samsung's flavor of Android. Overall, there's plenty of room for debate, and we'll know more when we can get our hands on both phones. But on paper, at least, the Note 8 appears to eek out the victory, so we'll anxiously await some real-world testing to see if expectations align with reality. Apple vs. Samsung: How Do the iPhone 8 & 8 Plus Compare to the Galaxy S8 & S8+?